The project consisted of an exterior renovation and some interior work at an existing apartment complex, which included replacing the existing balconies at the front and rear. 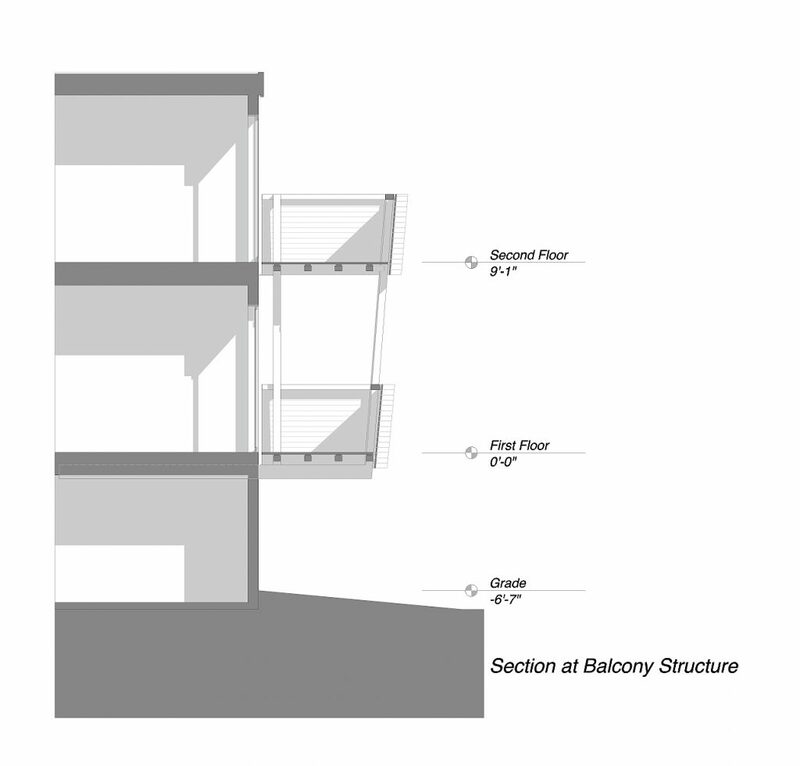 The concept for the new detached balconies utilized steel frames that cantilevered out below the lower floor units. The design allowed the tenants to continue to occupy their units during construction of the new balconies. The steel frames for the balconies were made primarily up 4×4 tube steel sections, Ipe wood was used for the guardrail boards and decking material, and provided a veil for the balcony space.